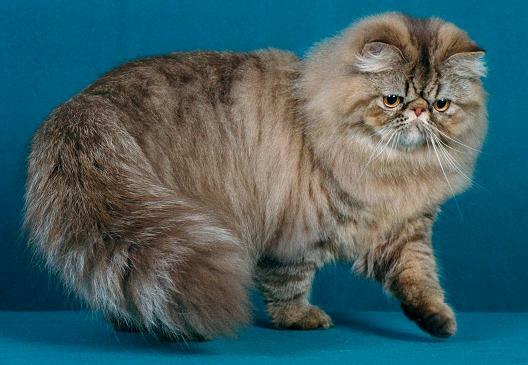 GRC Featherland's Weird Science becomes CFA's first chocolate or lilac grand champion in the Persian Tabby Division. He granded in only three and a half shows! 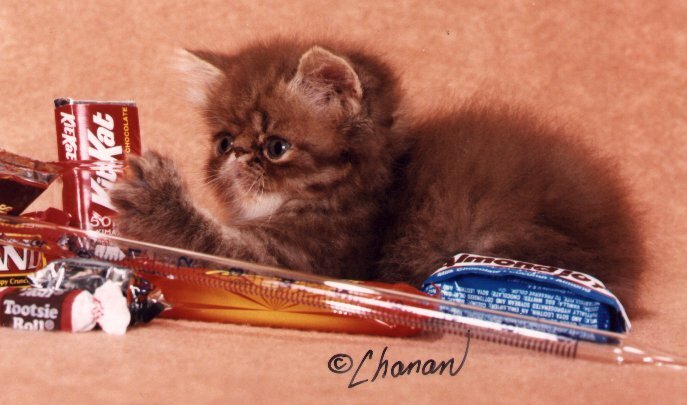 Exciting Updates: Science received a Regional Award in June for being CFA'S SECOND BEST TABBY PERSIAN IN THE SOUTHWEST REGION 2000-2001. Even more exciting... his first litter is due in July!! 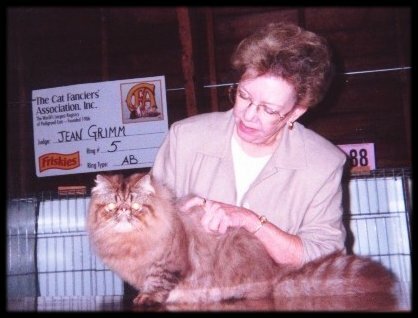 Here he is receiving Best Longhaired Champion and Third Best Allbreed Champion from Jean Grimm at the McKensie River Cat Club show. He also finalled as Third Best Longhair Champion under Lorna Malinen at this show. At the Crow Canyon show April 7-8, 2001 Science added another admirer to his growing list: Carolyn Osier, who awarded him Third Best Longhair Champion. Even the human members of Featherland were winners at this show... Science's Mom won the cage decorating contest! Science granded at the Tonks West show April 21, 2001 under Norma Placchi, who awarded him Best Allbreed Champion. Weird Science at six weeks of age.